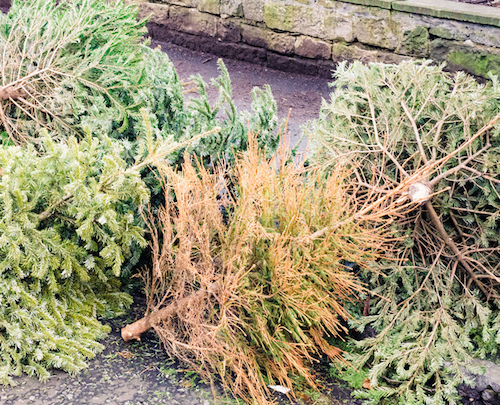 Orkney Islands Council is reminding folk that their Christmas tree collection service for households on the Orkney mainland, within 30mph areas only, will get underway from Monday next week. The limited collection for real trees will be carried between Monday and the following Friday, February 8. The intention is that trees collected will be recycled at the council’s Bossack waste facility, along with other garden waste left at recycling centres around Orkney, to produce a fine soil conditioner. Therefore anyone using the tree collection service is urged to take extra care that all tinsel and decorations are removed from their trees. The soil conditioner can be picked up free of charge, subject to availability, from the Council’s Household Waste and Recycling Centres at Bossack in Tankerness, and Hatston, in Kirkwall. Householders who wish to make use of the collection should ensure their Christmas trees are out at the normal collection point by 8am to guarantee pickup. Householders outwith the 30mph limits can visit their local Household Waste Recycling Centres at Hatston, Garson, Bossack, Cursiter Quarry, St Margaret’s Hope and Dounby during normal opening hours, where trees can be placed in the “green waste” skips. Opening hours are available on the council’s website, on the Civic Amenity Site page. Trees can also be trimmed, cut up and placed into the kerbside grey bins for the waste collection — as long as the lid can still close on the bin. However, please note if using this method they cannot be used as soil conditioner and will be shipped along with other waste collected. You can check which area your household falls into on the Your Household Collection — Mainland page of this website. For any enquiries, call the council’s Customer Service team on 01856873535.